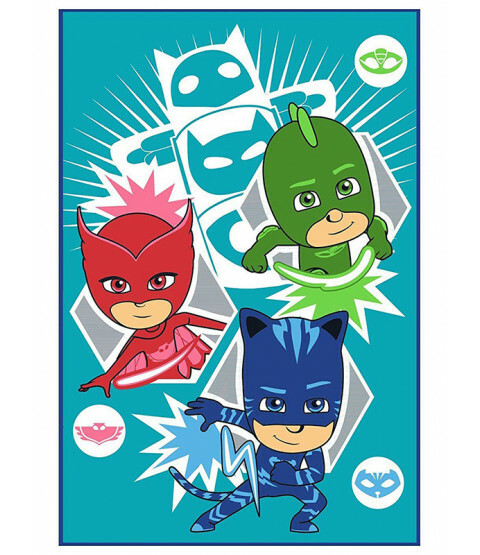 This wonderfully soft fleece blanket makes a great addition to a PJ Masks themed bedroom. 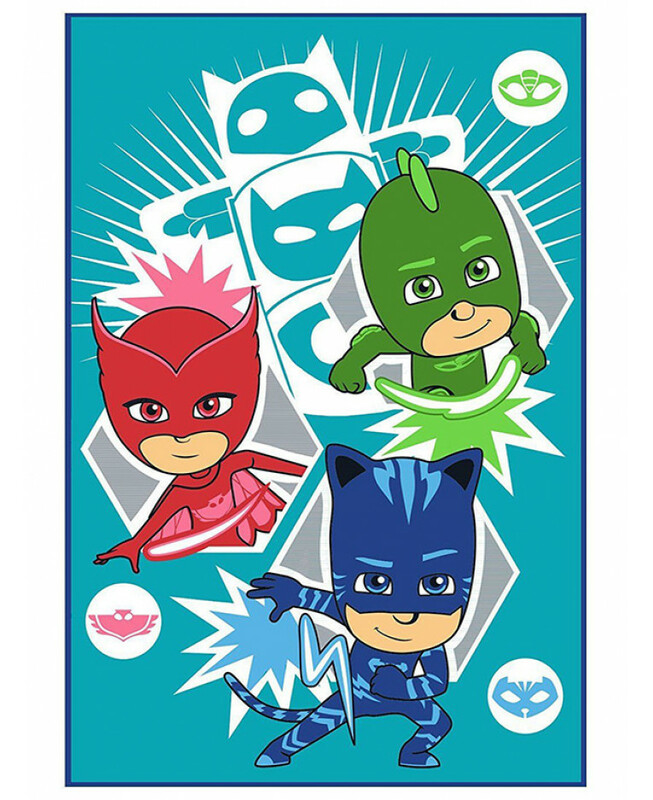 The design features Catboy, Owlette and Gekko ready for action on a dark turquoise background and is perfect for snuggling up with whilst watching your favourite superhero movies! 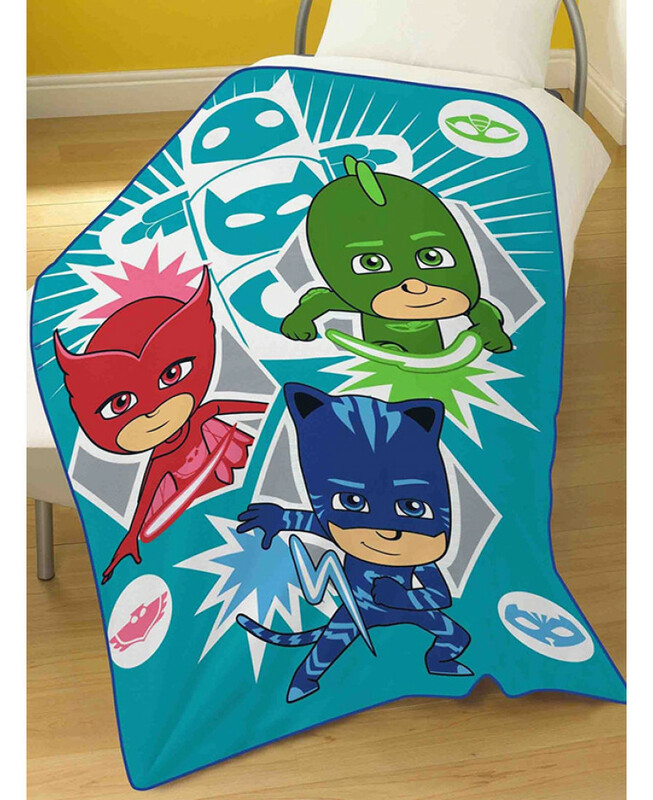 This blanket is machine washable and tumble dryer safe on a low setting.